What Is The Cost Of Civil Government? R.J. Rushdoony: 00:00 What is the cost of civil government? This is R.J. Rushdoony with a report on our threatened freedom. Let us look again at some data I cited not too long ago. The U.S. News and World Report published some data on spending by federal, state, and local areas of civil government. The total for 1980 came close to a trillion dollars or 926.7 billion. This represents a 12.6% increase in 12 months and the amount will be greater in 1981. This status spending came to about 40% of the total value of all the goods and services produced in the United States in 1980. R.J. Rushdoony: 00:49 As I stated previously, if these outlays are divided by the number of families in the United States, it comes to $11,715 for each household. However, this is only the financial cost. The economic cost has been a steady stifling of the economy so that we are less and less able to compete in world markets. American capital and labor once represented the world’s most productive force. Now, saddled by the cost of big civil government, we are less and less competitive on the world markets. R.J. Rushdoony: 01:31 There’s also political cost. When the power of state today controls 40% of the economic wealth manually, it is out of control. The power of state controls the people, not the people, the state. As a result, we see administrations change but not the ongoing bureaucracy and its drive for more power. There is also a human cost. More and more people are disillusioned with the political process and regard it as an empty façade for a power elite. People of varying political opinions have come to this conclusion. Such a cynicism concerning the political process is a dangerous and potentially revolutionary fact. R.J. Rushdoony: 02:20 There is also a moral cost. The more power and money that the state takes from us, the less responsibility we have and exercise. The result then is an erosion of character and a decline on freedom. Obviously we are paying too high a cost, too high a price for civil government. That price is more than money. It includes character and responsibility. The solution to this problem does involve a steady limitation of the proliferating bureaucracy of the power of state. This, however, is not enough. R.J. Rushdoony: 03:01 What is even more necessary is the development of a character in us, the people, which is more congenial to freedom. We cannot criticize the subsidies others get without also criticizing our own. Someone in the John F. Kennedy administration some years ago very aptly described the critics of Washington, DC. The typical critic went to public schools, riding in a county bus on a public highway. He went to college on the GI Bill, bought a house with an FHA loan, started a business with a loan from the small business administration, made money, retired on social security, and then sat back to criticize the welfare program, demanding that the freeloaders be put to work. R.J. Rushdoony: 03:47 In other words, if freedom and independence do not begin with us, we cannot demand them of other men. Freedom suffers and a country declines in moral responsibility if what we want from Washington DC is a necessity and what others want is pork barrel legislation. 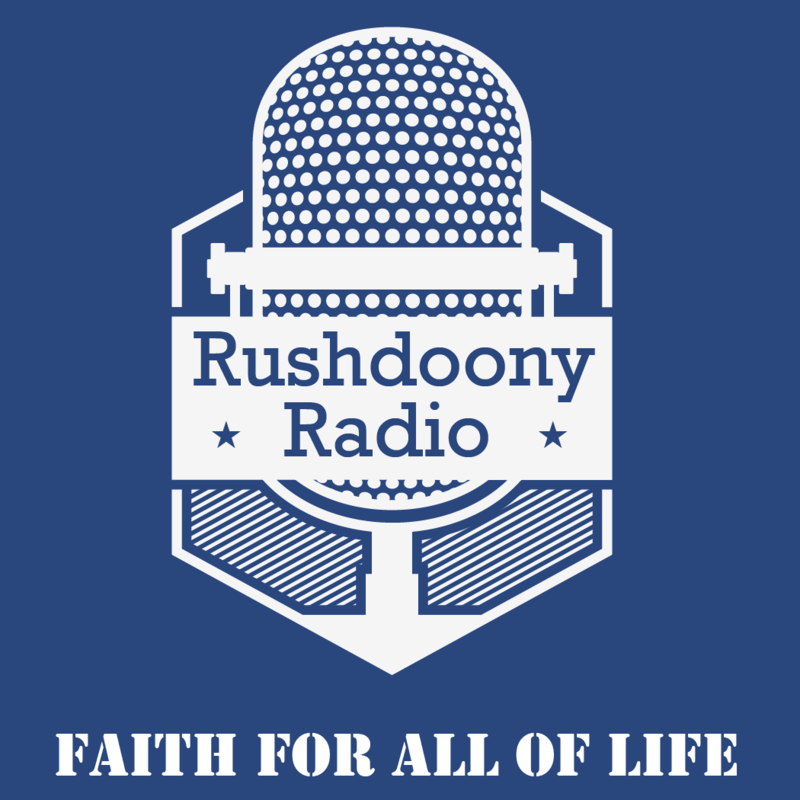 R.J. Rushdoony: 04:10 This has been R.J. Rushdoony with a report on our threatened freedom.